If you’re going to start a series on blue, you have to start here. This plant is all about colour. The flowers are small but the most intense blue I’ve ever seen – if you pass a stunning flash of deep gorgeous blue, chances are it’s this plant. 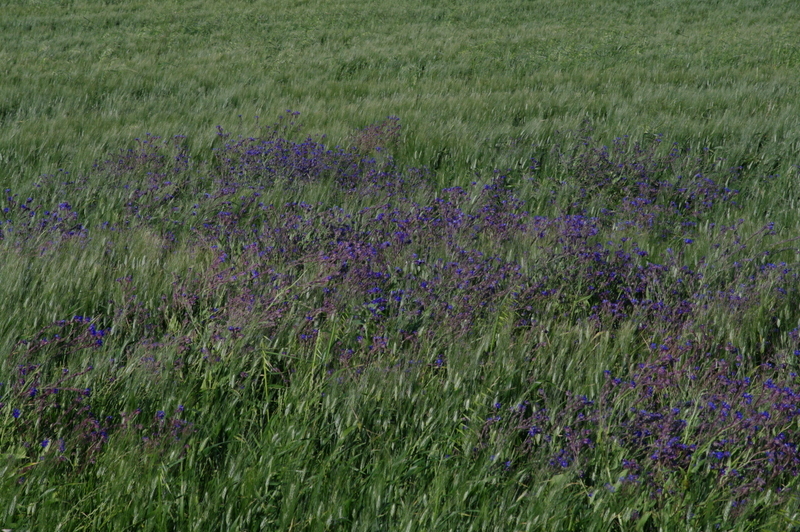 Sometimes there are swathes of this colour in fields or at the edges – a wonderful sight, but one I’ve found it hard to capture on a small digital camera, whose sensor just can’t take the saturation (so the first two photos are courtesy of Chaiselongue). 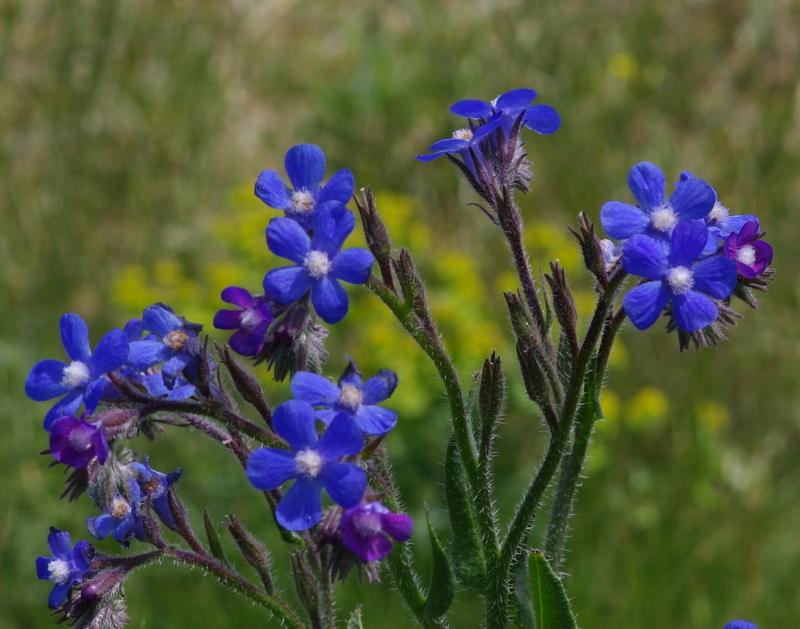 It is also called Italian alkanet, and like alkanet the long Anchusa taproots can be used to give a red dye. The word alkanet comes from the Spanish alcaneta, diminutive of alcana, in turn from the Arabic al-hanna: so meaning ‘little henna’. 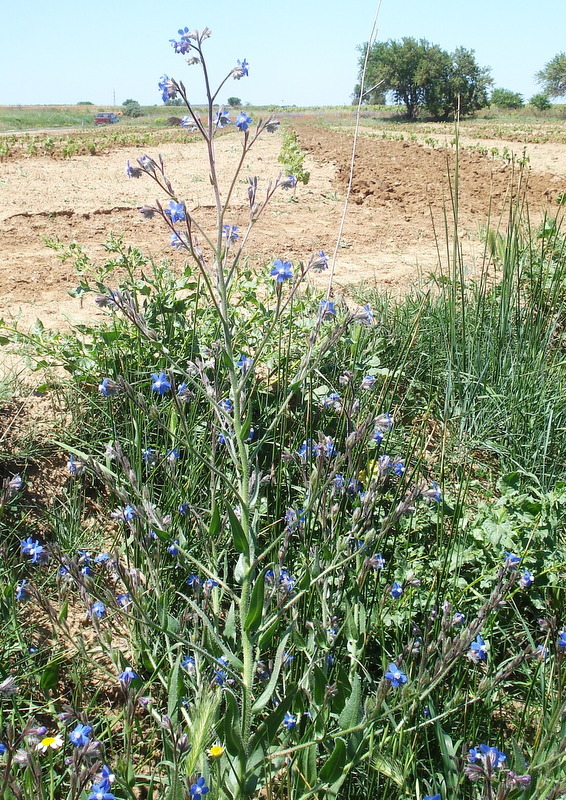 This plant is found all over France, and indeed all round the Mediterranean. Some areas treat it as a noxious weed: it’s covered with long hairs which can prick the skin so I wouldn’t advise picking it – apparently its hollow stems don’t make it a very successful cut flower anyway. It is said that in Crete the young stems are cooked and eaten. Many varieties are grown in gardens for their colour and height. I pondered long and hard over what blue tune should go with this, the first in the series of blue flowers and blue music. It’s the sort of task I very much enjoy. In the end I settled for this, for its liveliness which I thought suited the flower. Dianne Reeves gives it all she has in New Orleans on her version of the Cuban musician Mongo Santamaria’s Afro blue.